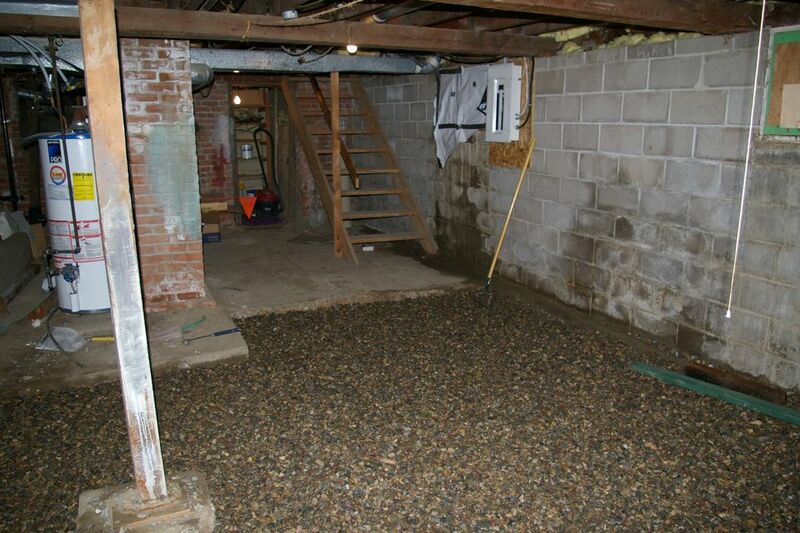 A basement is a great space for storage of additional activity space--if it is dry. But if it is wet or damp, the basement is little more than wasted space--or worse: a source of moisture that can damage the home's structure. 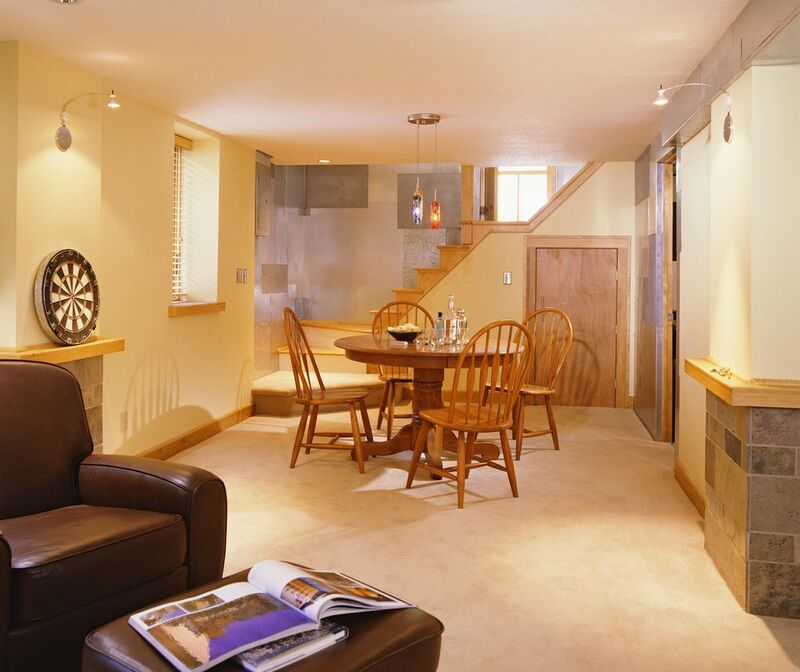 Basement moisture issues can fall into a wide spectrum, from a bit of mustiness in the summer to far more serious problems. If the wetness or dampness occurs in winter or results in any wet walls or standing water on floors, you need to take corrective action. In this article, we'll briefly review five common symptoms of water and moisture problems in the basement and how to diagnose and fix these problems. Air feels noticeably muggy and has high humidity. The air smells musty or smells like mildew. Minor condensation caused by a cool underground slab and concrete walls reacting with warm humid air from outside or upstairs in the home. Use a dehumidifier to remove water vapor from the basement and dehumidify the air. Air condition the basement, which will dehumidify the air. Cold water pipes sweat and drip water. Condensation or "sweating" on the pipe is forming due to the temperature difference between the pipe and the air. Cool pipes will condense moisture out of warmer, moist air. Insulate the cold water pipes using a preformed tubular foam sleeve or adhesive-backed foam tape. If possible, insulate valve bodies as well, but leave valve handles exposed. Walls feel damp to the touch. A heavy musty smell in the air. Water condensation on window frames, window glass or wall. High humidity level from a definable source, such as a dryer vent. Bleeding of moisture through walls that have no vapor barrier. Use a dehumidifier to remove water vapor from the basement. Air condition the basement, which will also dehumidify the air. Insulate basement walls and install a vapor barrier. Visible dampness near corners where walls meet the floor. A trickle of water may be visible at a crack in the wall. Improper roof gutter/ downspout discharge is not draining rainwater away from the house. An improper slope or grading of soil adjacent to the house is causing water to drain into basement wall rather than away from it. A high water table is forcing water up through the joints between wall and floor. Correct surface drainage problems causing water to drain against ​the basement wall. Minor wall dampness may be solved by an oil-based masonry waterproofing paint such as UGL Drylok. Serious seepage problems may require a physical interior deep-channel pressure relief system that collects the water and pumps it out through the wall. Visible water trail from crack or hole in the basement wall. Improper roof downspout drainage or site drainage against foundation wall has eroded the soil under the foundation, causing the foundation to settle and crack. Small holes may be plugged with a hydrostatic cement. Be careful of sealing cracks from the inside, as this may cause other structural damage. Repair large cracks by digging down from outside and repairing crack with hydraulic cement and then waterproofing the exterior basement wall. the exterior basement wall.